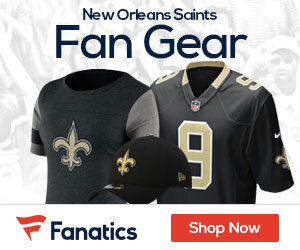 Will the Saints Find Gold in the 2009 Undrafted Free Agents Class? In Sean Payton’s first 3 years, He and GM Mickey Loomis have struck gold with UDFA’s. In 2006 it was Steve Weatherford and in 2007 it was with Pierre Thomas and 2008 JoLonn Dunbar. Have the Saints possibly struck gold in 2009? The answer could very well turn out yes and more than once. With limited draft picks this time the Saints were very aggressive after the draft to secure some of the UDFA’s who they believe could contribute. The Saints look to have struck gold twice this time and maybe even more. The two rookies I’m referring to are Wisconsin OLB Jonathan Casillas and Western Illinois RB Herb Donaldson. Jonathan Casillas was unable to participate at the combine or Wisconisn’s pro day while recovering from an injury he had played with through his senior year. Had he been able to participate I have no doubt he would have been drafted. There is no doubt of this kids talent. At 6-1 226 he is considered too small by many to play LB in the NFL, but other OLB’s with similar size have made it such as Leroy Hill and Michael Boley. I believe Casillas will turn a lot of heads during camp with his athleticism and speed. Casillas has excellent coverage ability for a linebacker and has an unofficial time of 4.41 according to the Badger coaches. In Casillas’s career he has 251 tackles 4 forced fumbles and 2 interceptions. Positives: Has been extremely productive for the Badgers. Extremely fast. He rarely ever misses in the open field. Has the speed to run down receivers and backs from the other side of the field. Has great instincts and is excellent in zone coverage. Mastered the cover 2. Hard hitting as well. Negatives: Character issues may be a concern for some coaches as he got arrested for a DUI in the past but I think he’s a good kid. Considered too small by some. Occasionally takes plays off and football IQ isn’t the best. Overall: Will be a great special teams player and possibly a safety. He’s good in coverage against booth tight ends and running backs. Has the speed to catch up in pursuit. Character issues maybe an issue but I don’t think it will hurt him. Will have lots of positive mentors to help him. NFL comparison Michael Boley and Jarred Page. Herb Donaldson is a big bruising running back 5-11 225 who dominated D1-AA at Western Illinois, Donaldson finished his career with 4730 yards and 50 touchdowns with a 5.7 yard per carry average. The Saints signed him to a 3 year deal and had to compete with several other teams in bidding for his services. Positives: Herb Donaldson is a strong, inside runner that excelled in the Leatherneck’s zone blocking scheme. He has good vision and balance. Has the ability to make would be tacklers miss and strong enough to run over defensive backs, durable runner that gets stronger as game progresses. Great stiff arm and willing blocker in the backfield. Negatives: Lacks breakaway speed.. Played at a D1AA school, not a great route runner out of the back field. Needs to be more patient. Overall: If Herb Donaldson can be taught to be patient as a runner, he can be a great compliment to Reggie Bush and Pierre Thomas with punishing runs late in a game. He has potential to be a huge steal for the Saints. NFL comparison Derrick Ward. Other UDFA’s to watch are OT Augutus Parrish and C Alex Fletcher. With training camp approaching keep an eye on Casillas and Donaldson.